My Parents visited me in Montana for the past week to do a some fishing and exploring. 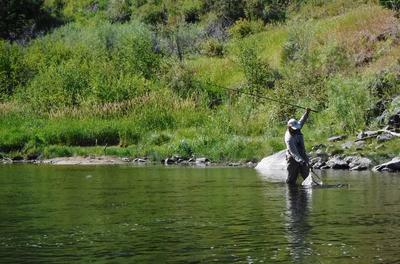 I introduced them to fly fishing and tenkara during their stay last year, and they were eager to use what they had learned in the past year on the large rainbows, browns, and cutts of our local rivers and streams. The first evening started out with a bang. We drove southwest through a 1" hailstorm to a nice spot on the Big Hole river. The fishing was slow, as we took shelter from electrical storms (the 5.4m Sagiri can provide a "shocking" experience), and my dad practiced casting his new 6wt. The real excitement came when I spotted a large rainbow cruising the shallows. He ignored the heck out of my #16 comparadun, but kept feeding on something I couldn't see. I switched to a #22 f-fly and he inhaled it on the first drift. My first 20" trout: on a sub-#20 fly and a seiryu rod nonetheless! Don't underestimate the capabilities of a long, soft rod when it comes to landing big fish. The rest of the week was steady progression for my parents. 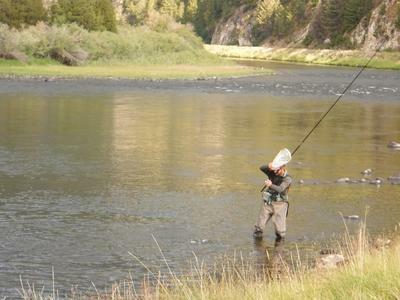 We kept things interesting by hitting tailwater hatches in the mornings, followed by smaller, cooler streams in the afternoons. 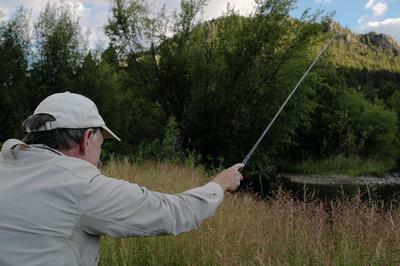 It was fun to have the option to choose between a Western rod and tenkara as conditions warranted. 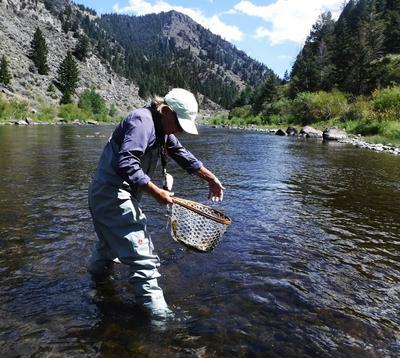 It had less to do with river size and more about tippet and fly. Small flies and 7x tippet are much easier to handle with tenkara, while the 6wt can toss heavier rigs no problem. Family and fishing. Always a good combination.